PERFECTO is a CLC Pocketship designed by John Harris and modified by Master Violin Maker, Scott W Hershey of Dillsburg, PA. I stretched PERFECTO by 1′ and extended the cabin and widened footwell. Building photos are on YouTube videos and are in 3 parts. 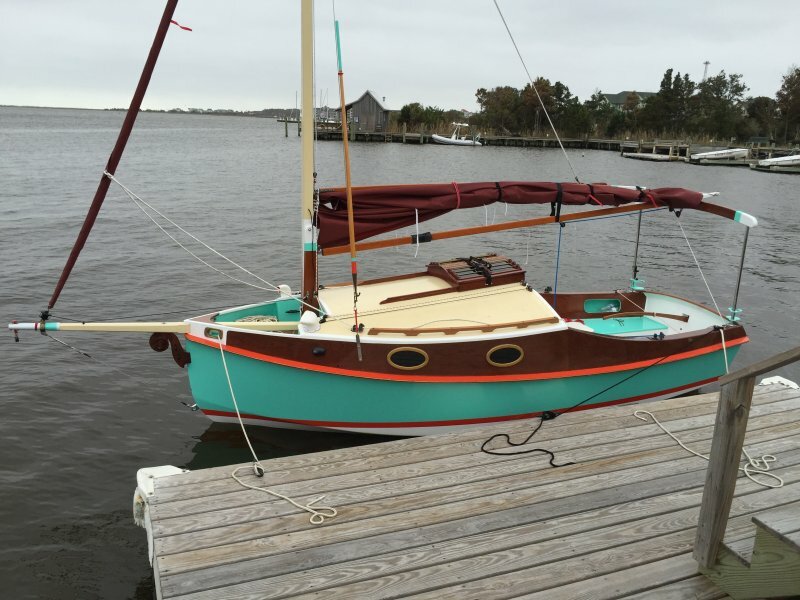 This boat is a beauty to sail and is quite light on her feet and very responsive. The modifications I made to the original plans worked out very well. She took two years to build.